Our water damage Tamiami experts with 911 Restoration Miami is the place to turn to because we have years of experience in water extractions and restorations and we value professionalism. 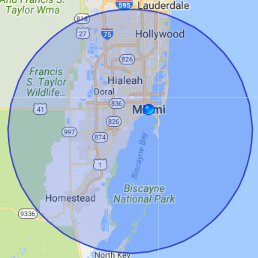 Tamiami residents, being less than 20 miles west of Miami and the Atlantic Ocean, should always know where to turn for their water damage Tamiami services. Our technicians are available 24/7/365, they will respond within 45 minutes to any call with same day service. At 911 Restoration Miami we always put the customer first and that’s why we offer a free inspection to assess what kind of water damage restoration services you will require. 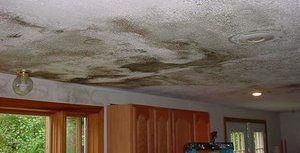 Call our water damage Tamiami experts today and learn about everything from measures you can take to do preventative maintenance, to who you would call if you have a leak from the ceiling! Any time you see water damage is when you should pick up the phone and call our water damage Tamiami professionals. Usually, when you see a leak coming from the ceiling there is either a leak in the roofing of your home or a plumbing issue depending on where in your house the leak is in. If you’re in a bathroom, you might be looking at a pipe burst or leaks in the plumbing of a shower or upstairs bathroom/kitchen pipes. If there is no plumbing in the area of the leak then it’s most likely a roofing issue. We can replace or repair a broken water heater, a pipe burst, plumbing issues, or a fire sprinkler malfunction. We provide how to education on clean up and drying. We also educate on preventative maintenance with things like sump pumps, gutters, downspouts, a water line, or a sewage back flow valve. We are also experts with mold removal, mold remediation, and mold decontamination and all associated mold remediation techniques. We do water extractions and water removal for standing black water, grey water, returning water, and we are experienced in category 3 situations. Our water damage Tamiami experts agree that prior to finding such leaks, you can minimize this risks of water damage by routinely cleaning your rain gutters and downspouts to ensure that your house is able to funnel water off the roof and into desirable drainage areas. However, once you’ve found the leak you should call our water damage Tamiami professionals to remove any remaining water by pumping water out. We’ll then clean up and dry the wood structuring as well as any affected carpets in the problem area using the latest drying technology. Call us now and learn more about all of our other restoration methods, or just ask us any questions you may have like how to know if your insurance covers water damage! Water damage Tamiami professionals agree that many water damage events are indeed covered by standard homeowners insurance policies. And just to make your restoration services even easier our water damage Tamiami professionals work with all insurance companies to ensure that you get an affordable price whenever you may need our help. Many water damage events are covered by either home owners insurance or separate flood insurance policies. To determine if your homeowner’s insurance policy or your separate flood insurance policy will cover the cost you of your restoration you will need to speak with your insurance provider to make sure. But as a general rule, homeowners policies typically cover issues from within the home itself and flood insurance handles the external factors. This means that a pipe burst, toilet overflow, or water heater failure would generally fall under the scope of your homeowner’s policy while floods from a nearby river or lake over running its banks would fall into flood insurance’s scope. Another important thing to keep in mind is that you shouldn’t focus on the initial cost of water damage restoration, if you put off the work that needs to be done once a flood event has taken place you’ll end up spending far more in the long run. So call our water damage Tamiami team with 911 Restoration Miami, and we will quickly and efficiently restore your home to its original state in no time today!